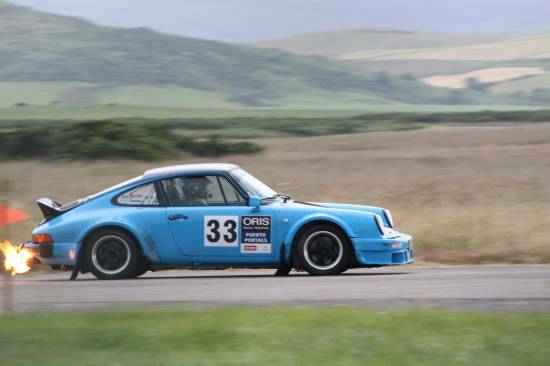 Following the success of this year’s inaugural Mach 1 Stages Rally at Machrihanish Airbase, the event’s organisers, Dunfermline Car Club (DCC) have confirmed the date for next year’s event - Saturday 11th & Sunday 12th July 2015. They have also announced brand new and exciting plans to ensure the 2015 Scottish Tarmack Rally Championship series is even bigger and better. Industry stalwarts DCC are coupling their 40 years’ experience with new main championship sponsor for 2015, Blackwood Plant Hire. Managing Director of the firm, Tom Blackwood admits that the Mach 1 Stages is the event of the championship he is most looking forward to. There is a brand new format in the pipeline, and plans to open up new areas of the airbase are already under way, with organisers confident the revamped 2015 event will attract record numbers of competitors and spectators. 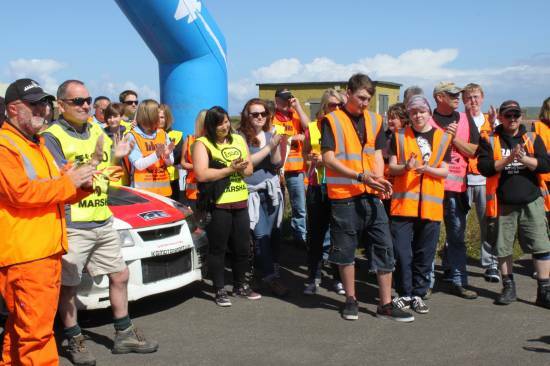 Event organiser David Hatrick said: “The 2014 rally was an unprecedented success. We saw more than 100 teams compete over the Stages during the weekend, and spectator figures were astonishing. Some of the top competitors from the Scottish Rally Championship (SRC) took part too, which was a great boost to the popularity of the event. “In 2015, we want to cement the Mach 1 Stages as the event to get in your diary early. Organisers are also keen to encourage local businesses to become involved in the 2015 event, either by sponsoring a stage or by sponsoring a local competitor. If you would like to get involved in next year’s event, please contact David on 07717130612 or email davidh@foxconstruction.co.uk. To stay up to date in the lead up to next year’s the event, you can visit www.dunfermlinecarclub.co.uk or join the growing legion of fans on Facebook.